The package of Monty Python, Saturday Night Live, and more will cost $4 per month starting in January. 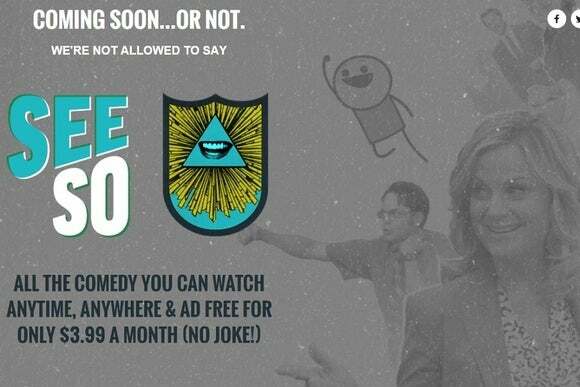 SeeSo, an ad-free comedy streaming service from NBC, appears to be right on schedule with a free beta coming December 3. The beta will have limited availability, with sign-ups available on SeeSo’s website. The service will get a proper launch in January, at which point it’ll cost $4 per month. As for content, SeeSo will be mix of late-night NBC shows, classic shows, and new original series. The classics include Monty Python’s Flying Circus, The Office (U.S. and U.K. versions), The Kids in the Hall, Parks and Recreation, andThe IT Crowd. NBC will also offer full episodes of Saturday Night Live, The Tonight Show Starring Jimmy Fallon, Light Night with Seth Meyers. The main attraction, however, could be the talent NBC is bringing in for its originals. As Den Of Geek reports, this includes an animated series from Community creator Dan Harmon, improv from the original Upright Citizen’s Brigade (Amy Poehler, Matt Walsh, Matt Besser, and Ian Roberts), a variety show starring Daily Show correspondent Wyatt Cenac, and a mock travel show from Jonah Ray. A teaser video touts 13 originals, and promises new programming every week. It’s still unclear what devices SeeSo will support out the gate. With so many streaming boxes and game consoles on the market, NBC may have to make some tough calls on what to target first. NBC also hasn’t given any glimpses at SeeSo’s actual apps and website, but that’ll change soon enough. Why this matters: As I wrote in a recent cord-cutting column, SeeSo is uncharted territory for a major TV network like NBC. Instead of simply mirroring NBC’s broadcast network, SeeSo is an attempt to create something new for the Internet age, aimed at a specific niche of diehard comedy fans. As a standalone subscription service—not part of any channel bundle—SeeSo will have to succeed entirely on merit, but at least it sounds compelling on paper.